This morning sequence includes short meditation, pranayama and quite intensive (but fun:)) vinyasa flow and some static postures with a focus on strength. 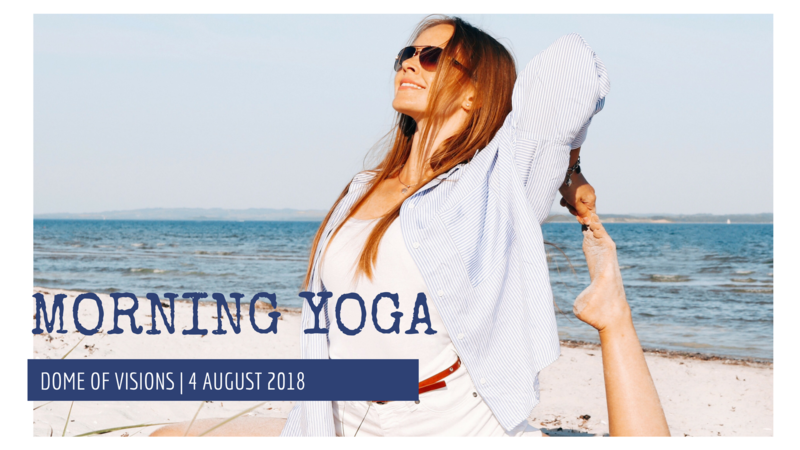 Taste a mix of traditional hatha yoga from India flavored with some notes of my personal interpretations and therapeutic approach, and experience a journey to the Inner Self. All levels are welcome! Just bring your mat and wear comfortable clothing. I have completed 200RYS hatha yoga teacher training at Himalayan Yoga Academy in Rishikesh, India and currently taking yoga therapy training (500+ hours) with one of the best teachers in Russia, and studying Global Nutrition and Health in VIA University in Aarhus. Vision for bæredygtige fremtider: My mission is to facilitate people in cultivating awareness. I’m spreading a message about the importance of mindfulness and how hugely this can affect our lives, relationships, health and how it can help us to find happiness and our place in this world. We already know all the answers we are looking for. We just need to start listening to ourselves. And yoga is a powerful tool to develop this ability to listen. Vision for fremtidens by: In my city of the future, everyone makes conscious choices about how they live and behave. There is no place for anger and war because people are no more driven by self-interest or greed but by love and gratefulness.